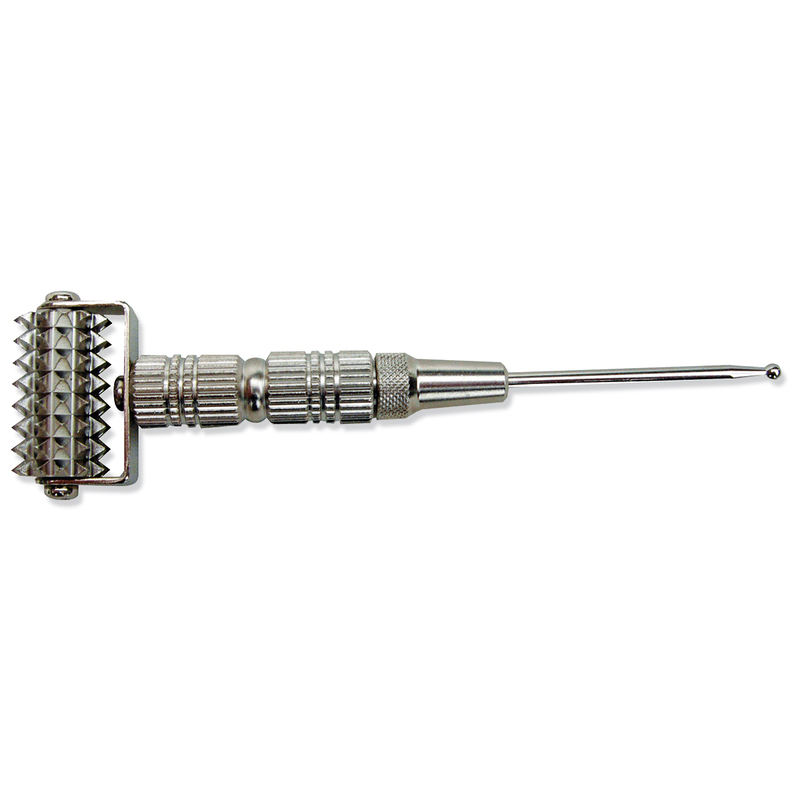 Multi-functional, dermal roller with spring active probe. Silver-plated for sedating purposes. Rolling heads with pyramid shaped surface. The shaft can also be used to massage hand and foot.